Jordan Brand shows love to the ladies with this new colorway of the Air Jordan 7 Retro. Jordan Brand wants sneakerheads to show their special someone some love this year with this all-new Girls Air Jordan 7 Retro. 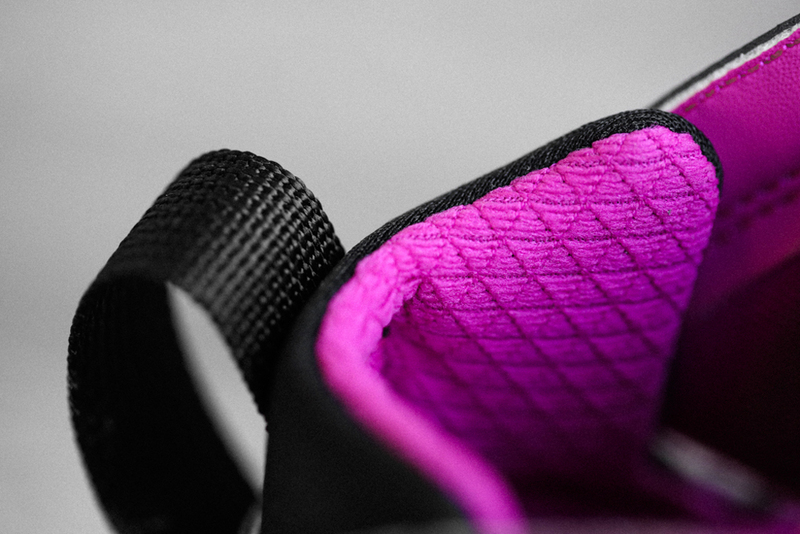 Known as the 'Valentine's Day' edition, this pair comes in a dark grey, white, black and fuchsia flash colorway. They feature a grey-based nubuck upper with fushcia contrast stitching, along with a black tongue and a white Jumpman logo on the ankle. The 'For The Love Of The Game' heart-shaped basketball logo is found in black on the heels, while fushcia and black accent the triangle pieces and midsole. They will be available in extended gradeschool sizes as well as in preschool and toddler for the little ones. The 'Valentine's Day' Girls Air Jordan 7 Retro hits nike.com as well as select Jordan Brand retailers on Saturday, Feb. 7.